MADE WITH THE BEST MATERIALS: Made with highly durable polyester, InsigniaX Hanging Toiletry bags are designed to last long. 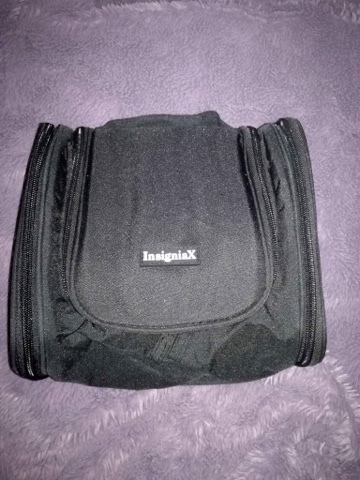 PROVIDES EASY HANDLING OPTIONS: InsigniaX Hanging Toiletry bag has a handle for hand carriage; it also has a strong plastic handle that allows you to hang the bag. MONEY BACK GUARANTEE: If you are not 100% satisfied, we are happy to give you a refund or exchange, no hassles. Click "Add to Cart" and order yours now. 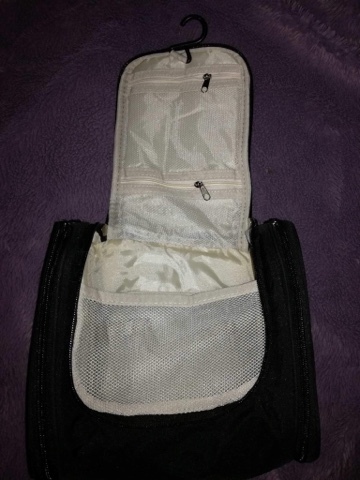 This bag is ideal to keep your toiletries organised and safely stored in your suitcase when you're traveling. I like the fact that it has separate compartments so it's easy to find the item you need as everything doesn't end up in a big jumbled mess. There are three main zipped compartments in the bag. 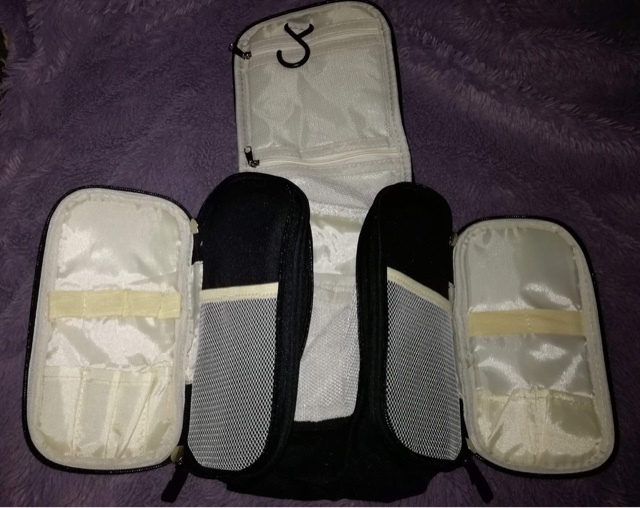 The large one in the middle is ideal for storing shower products, and you can put smaller items in the side compartments. The top of the bag unfolds and has a hook which means you can hang the bag in the bathroom. This makes it very convenient to use when traveling. I got this bag for a male relative who travels a lot on business, and it's perfect for him. It is large enough to comfortably fit everything he needs for his travels, but folds up nice and neatly in his suitcase. It's a good quality bag and is reasonably priced. Five stars.